The graphic and exhibition design for the first major Japanese retrospective of internationally-known milliner Hirata Akio’s seventy years of work. 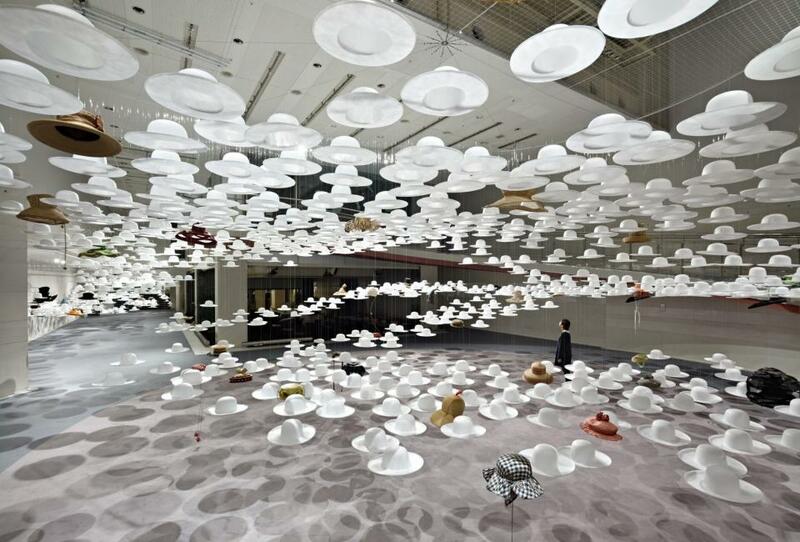 For the exhibition space, Nendo wanted to make Hirata’s hats stand out. 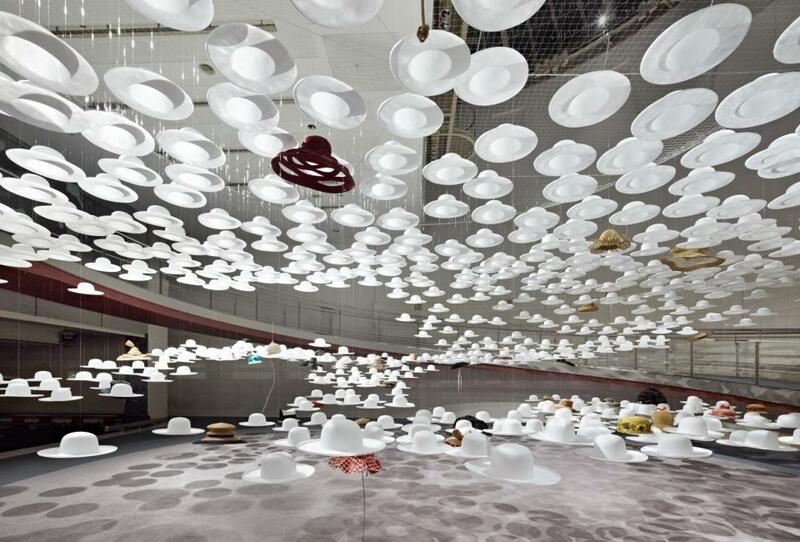 The mass-produced non-woven fabric hats they created for the space are the antithesis of Hirata’s carefully handmade hats, and bring them into sharp relief through dramatic contrast. 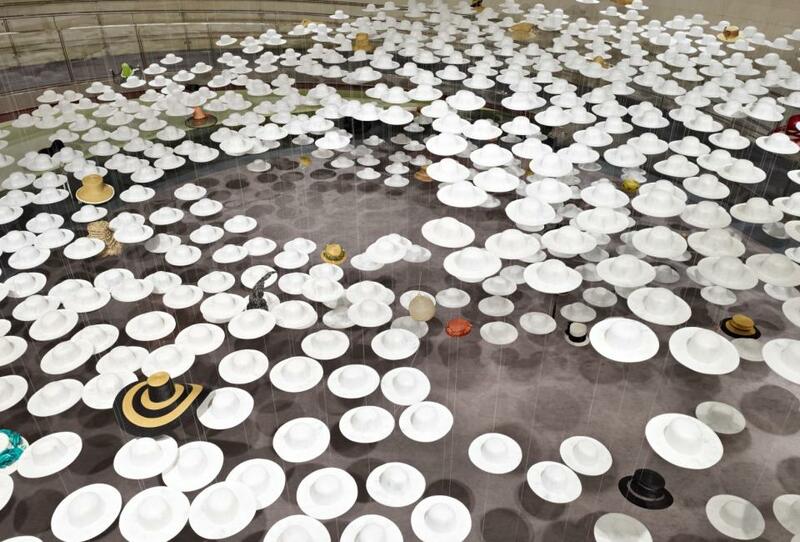 Hirata oversaw the shape of these hats, which float and stream through the exhibition like ghosts or shells of the real hats exhibited. Some are exhibition stands; others become walls, ceilings and diffusers to scatter light through the space. 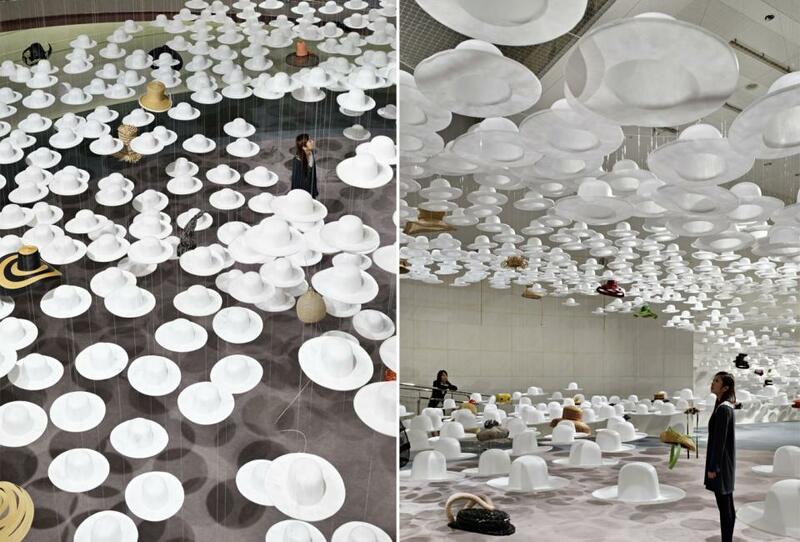 Flooded with roughly 4000 of these ‘ghost hats’ as though shrouded in a cloud, the exhibition space softly invites visitors inside. 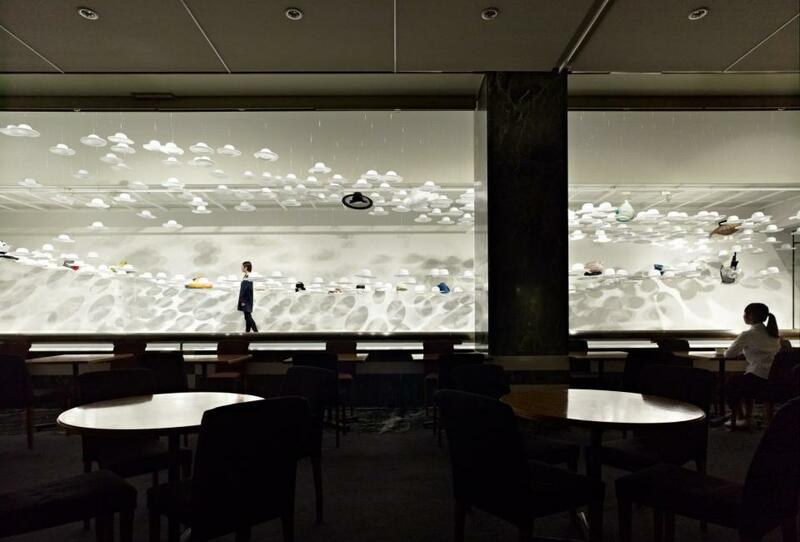 There, they find not clear-cut paths to follow but an environment in which they can wander and discover Hirata’s creations as they like, as a way of physically experiencing the creative freedom that underlies Hirata’s work. At Home with Jorge Elias in São Paulo..
the dark world of Steven Klein..
A casa da antiquária Florence Lopez..
yoo, Gramercy New York by Starck..
yoo, Wall Street by starck..
YOO PUNE İndia by Philippe Starck..
Oz House by Swatt Miers Architects..
House of Anna dello Russo..
Elizabeth Taylor: Cleopatra in Rome..
Chanel 2012 Spring Summer by Karl Lagerfeld..
Bentley Mulsanne Executive Interior Concept..
Casa Almare by Elías Rizo Arquitectos in Mexico..
A House of artist Marina Abramovic in NY..